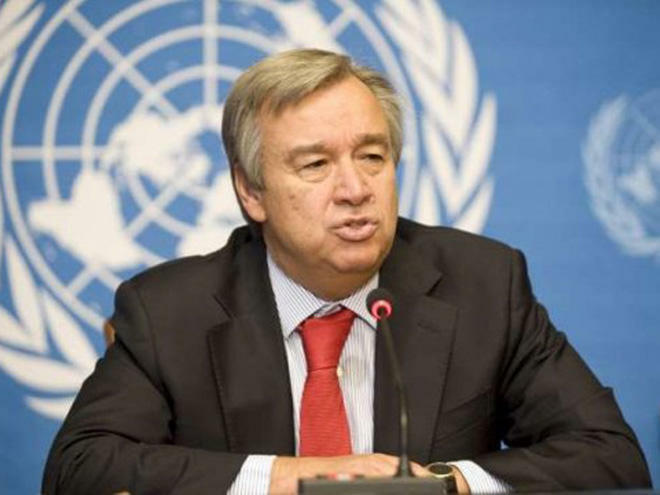 UN Secretary General Antonio Guterres expressed hope for progress in the settlement of the Armenia-Azerbaijan Nagorno-Karabakh conflict, RIA Novosti reported on May 12. He made the remarks in the congratulatory message to Armenian Prime Minister Nikol Pashinyan on the occasion of his election as head of the government. Guterres noted that the UN resolutely and consistently supports the efforts of the OSCE Minsk Group to resolve the conflict through peaceful negotiations. “I hope that during this sensitive period for the process of peaceful settlement, these efforts will be more effective and will lead to positive results that will help establish lasting peace and ensure prosperity for all the peoples of the South Caucasus,” the Secretary General noted.